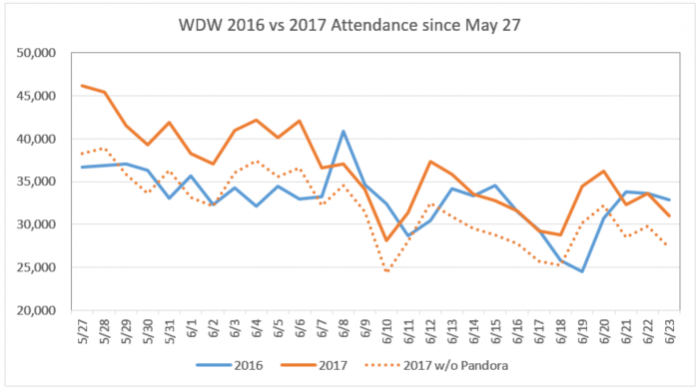 Pandora – The World of Avatar has been open for a month, and we now have enough data to see the initial impact the new land is having on attendance at Animal Kingdom and at Walt Disney World, in general. Before I get into the analysis, I want to cover what we do know and what we don’t. We don’t know Disney’s attendance numbers. Disney does not release daily attendance numbers. We do know posted wait times, actual wait times, ride capacity, and ride duration. Since we don’t have continuous user input for actual wait times, we use our actual wait times and estimate actual wait times based on posted wait times. With this information we can estimate the number of people on each ride, as well as how many people are in the ride queues. We make the assumption that a park’s attendance is proportional to the number of people at its attractions. The proportion is not important for this analysis, but for those who are curious, we believe it is 1-to-3. So for each guest at an attraction, there are two guests shopping, eating, walking, waiting, watching a show, or doing anything else in the park. To fine-tune our estimates we assume the average attendance for the first four months of 2017 is the same as it was for the first four months of 2016. When I use the term “attendance” below, I mean the hourly average number of guests at attractions. I am NOT referring to the total number of people at the parks. The chart above shows that attendance in 2016 and in 2017 follow similar patterns. Spring break fell at different times in the two years. The Annual Passholder previews for Pandora – The World of Avatar helped to increase attendance on weekends in May. May 27, 2017, was the opening day of Pandora – The World of Avatar, and there was a significant jump in attendance. Starting on June 8, the 2017 attendance is back down to the 2016 levels. 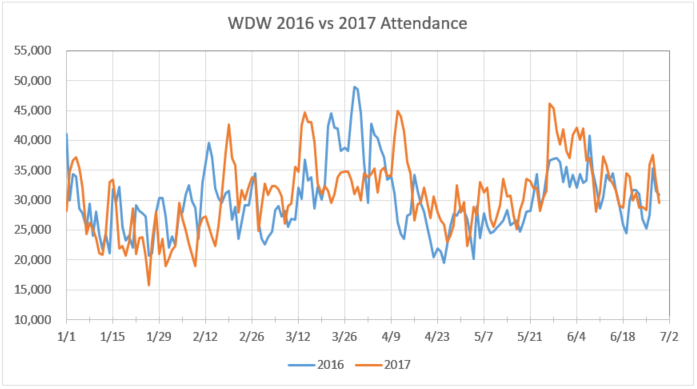 Between May 27 and June 7, at Walt Disney World the 2017 average attendance was up 6,373, or 18%. As of June 8, the average attendance is up 1,349, or 4%. The hourly capacity of the two Pandora attractions together is about 2,900 people. If the increase in average attendance stays below 2,900 people, non-Pandora attractions are seeing fewer visitors. In other words, guests are spending less time at old attractions to experience Avatar Flight of Passage and Na’vi River Journey. All parks are seeing lower attendance at attractions that existed before May 27, 2017. Epcot and Hollywood Studios are seeing the largest drop in attendance, about 6%. 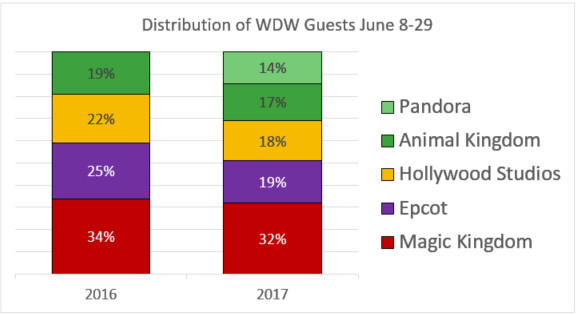 The Magic Kingdom and Animal Kingdom attractions are holding their own with only a 2% drop in attendance. 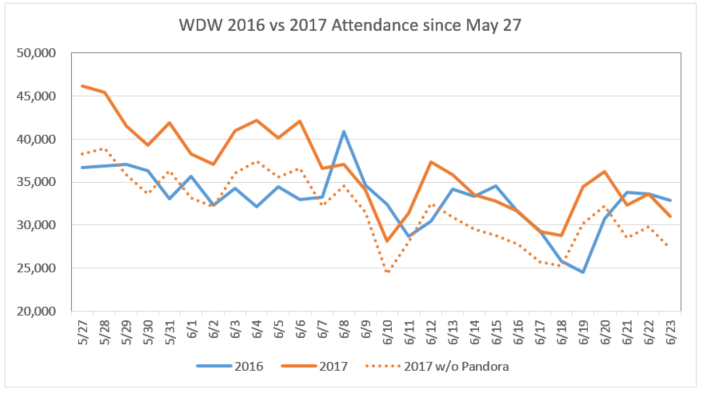 This is just initial data, and no one (including Disney) knows the long-term impact of Pandora – The World of Avatar. However, based on what we’ve seen over the past month, it looks like the people that wanted to be among the first to see the new land have come and gone. Now we are just seeing normal summer attendance at Walt Disney World. ← #AskIt: Which Magic Kingdom Hard-Ticket Party Is Best? Animal Kingdom numbers since it opened. It’s nice to have a professional, statistical summary of what is going on since Pandora opened. Seems like people are just cutting back on their visits to DHS and Epcot to spend more time at AK, rather than choosing an extra day at Disney over Universal. So in the battle of Potter vs. Pandora, it seems like Harry is the clear winner at this point. That makes sense. I know in our case, we would have planned two days at AK regardless of Pandora, in large part because the kids love Expedition Everest and Kali River Rapids. And it looks like one of Pandora’s biggest impacts to date is on wait times for Everest, so that alone is an argument in its favor. But as a destination? No impact whatsoever. We’re we’ve set aside two days to do the Wizarding World, and have a day of ‘flex’ that will either be Epcot or more Harry. 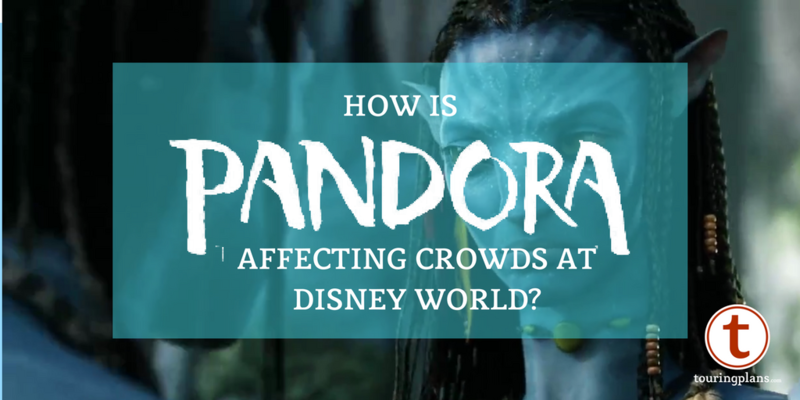 Given that Pandora isn’t a full-day experience, it’s not going to change our plans one bit. Went to AK on 6/2, caught a Fastpass for River Journey @ 8 am, left Pandora and hit the entire rest of the park which was basically empty (for Disney theme park) before 1130. This included walking on Safari & Dinosaur. The line for Flight of Passage ran from the regular que out the walkway to Lion King, back through Pandora to the bridge. The people who were there, at least to me, seemed to only be there for Pandora and then left. 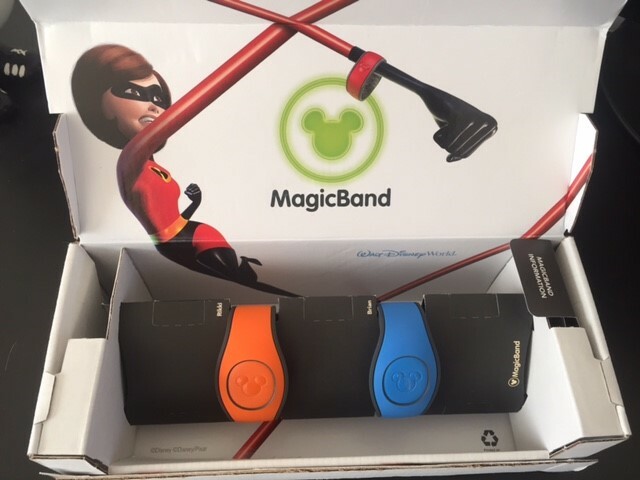 We were at Disney World from June 6 – 11 and visited AK twice. It definitely was our experience that the crowds were in Pandora but not in other parts of the park. We walked onto Everest multiple times. We did FoP with a Fast Pass. We’ve made two trips since Pandora opened. Hit 8 am openings and all rides except Pandora had no lines until about 11ish. Safari and Dinosaur are two of our favorite Disney rides so it was wonderful. Would love to have a few more trips like that. Looks like Disney isn’t getting the bang for their buck that they’d anticipated (not surprising to most non-Disney-decision-makers). I only make it to Disney once every five to eight years, and I can admit that I’m looking forward to spending an hour or two in Pandora, but I’m planning to spend a full day in Harry Potter (Harry Potter lands have added a full day to my itinerary at Universal). So as a comparison, there’s no competition – Harry Potter wins my cash. But it’s possible that Hollywood Studios, when all the construction is finished might win my time/money back, if they do things as detailed and interesting as Harry Potter. Not just the headline rides (although those need to be there too), but the fun interactive diversions (like how the wands work at Potter-land). It’s those added extras that make a person want to spend a full extra day in a location that Disney hasn’t captured in Pandora (and I don’t see how they can with such a limited source material). I wish Disney had taken their billions and spent it to make a highly detailed, interactive animated animal area – they have so many movies that involve talking animals that it would have been fun to be in their world(s)! So avatarland isn’t bringing more people in to WDW; it’s merely siphoning people who are already going to WDW from other parks/attractions to avatarland. This is pretty much what I predicted years ago when they announced this. StarWarsLand, however, will probably be a huge draw… if they get it right. What concerns me is that they’re talking about having a “new” planet/land that is only in the park, but not in any movie, and “extension” of the Star Wars Universe, so to speak. I believe people want to “experience” the movie(s), not some made-up extension of them. That was DHS’s (nee MGM) original intent: to place people in the movies, so to speak. At least there’s a “drive the millennium falcon” ride, which will probably be epic.